Global warming and resulting climate change present the world with major and potentially devastating challenges. China is among the countries that will suffer the effects of climate change. Although its per capita emissions of pollutants causing global warming remain relatively low compared to the world's richest countries, China is now the second largest source of pollution in the world. In coming decades it will overtake the United States as the world's largest polluter of the global atmosphere. How China responds to this problem has profound implications for its people, its neighbors and the world. China has joined with other countries in debating this issue, and it has started to implement programs and policies to reduce its emissions of so-called greenhouse gases. However, its domestic actions have rarely been motivated by concerns about the global impacts of climate change, and its response has been to avoid international regulation while waiting for the developed countries to act. Given this response, short of radical change in politics and environment, it is unlikely that China will adequately restrain its greenhouse gas emissions, thus mirroring – to the detriment of all – the industrialization and growth of the world's wealthy countries. In 2011, the 17th conference of United Nations Framework Convention on Climate Change (UNFCCC), which also is the 7th conference of Kyoto Protocol among the Contracting Parties, was held the closing ceremony on December11, 2011. Through repeating negotiations, Durban Conference has achieved a series of gratifying results. The conference decision insisted on the authorization of UNFCCC, Kyoto Protocol and Bali Roadmap, within which the working arrangements of the Kyoto Protocol’s second commitment period has been made. Durban Conference started the Green Climate Fund, which means the developed countries shall provide funding assistance to support the emission reduction of developing countries, and the funding assistance arrangements also gained significant achievements. Based on the Cancun Agreement, Durban Conference further clarified the adaptation, technology, capacity building and transparency of institutional arrangements, during which further strengthening the implementation of the convention after the year 2020 has been discussed and related process has been made clear. According to their status and appeal, the participating countries have been divided into several big camps and correspondingly launched fierce negotiations on some focus issues. Consequently, it is very difficult for the realization of these achievements. The essay will analyze the three big camps’ behavior and the challenges our country faced as an emerging power during the negotiations in Durban Conference. In addition, relevant policy suggestions to cope with these challenges will also be put forward. As “just like all the politics, international politics are the struggle which pursue the rights and interests”, climate negotiations have an effect on the international rights distribution structure. Consequently, climate negotiations also affect the alignment and confrontation between the developed countries and developing countries. On the negotiation of responsibility share principle, different countries and regions in different situation have different interests appeal, for the emission reduction responsibility in the climate negotiations refer to economic development. Meanwhile, there is a large divergence among the developed countries, developing countries and Least Developed Countries. During the Durban Conference, each side made a compromise after a long time fierce talks and came to an agreement at the eleventh hour of the conference. The agreement decided to start the second commitment period of Kyoto Protocol and activate the implementation from the year 2013. Moreover, Durban action enhance platform AD hoc working group shall be set up and due to operate in the first half year of 2012. A law instrument or law achievement applied to all the UNFCCC contracting parties is required to be made. According to the conference agreement, Green Climate Fund will be officially started. The result of Durban Conference reflect parts of interests appeal of the developing countries, especially the start of the second commitment period of Kyoto Protocol and Green Climate Fund were considered as core benefits of the developing countries, which also showed the developing countries gained a certain discourse right and their negotiation status has improved. However, the developed countries still has a dominant position during the negotiations, so the development prospect of the developing countries has still been influenced. The decision about the survival of the second commitment period of Kyoto Protocol in Durban Conference reflects the fundamental appeal of the developing countries, which also is the key issue. According to the decision, the second commitment period of Kyoto Protocol and its subsequent negotiations will go on with the principle Common but Differentiated Responsibilities just like the Kyoto Protocol stated. Thus, it means the developed countries shall reduce the Carbon Dioxide emission and the developing countries and underdevelopment countries shall reduce the carbon emission voluntarily. The Double-Track Approach of Kyoto Protocol will still go on. In addition, the decision of start the Green Climate Fund will benefit the developing countries’ participation in the emission reduce cooperation. All those achievements are the reflection of that the international cooperation must just and fair. During the conference, the developing countries defend their own interests successfully, which is a result of the developing countries’ arguing strongly on just grounds and also reflect the enhancement of the emerging market countries’ discourse right in the international system. Although there are huge divergence on many topics on the Durban Conference between the developing countries and the developed countries, the developed countries cannot possess the dominant rights of the negotiations completely any more. The developing countries’ voice was attached more and more importance, which even already became the key factor to the success of the conference. The enhancement of the developing countries’ discourse right in the varieties of international cooperation is the direct reflection of their soaring economic power. The rise of the BRICS, namely Brazil, Russia, India, South Africa and China, the Next-11(Philippines, Bengal, Egypt, Indonesia, Iran, South Korea, Mexico, Nigeria, Pakistan, Turkey, Vietnam) and the VISTA(Vietnam, Indonesia, South Africa, Argentina) all show the improvement of the developing countries’ position in the World Politics and Economy. According to the statistics, the developed countries’ GDP takes 80% on the worlds in 1992, while it dropped to 68% in 2009. At the same time, the divergence between the developing countries and the developed countries’ economy gap is gradually narrowing. For instance, the Real GDP per capita ratio between the developing countries and the developed countries is 20:1, while it decreased into 12:1; the Real GDP per capita of the developing countries grew with 46% from 2000 to 2009, while, at the same time, the industrialized countries represented by the G7 only grew with 13%. In addition to that, the foreign exchange reserve of the emerging countries rapidly increased, which has taken up the 3/4 of the world exchange reserve. According to the HSBC’s prediction, the global economy situation will change a lot, which means that the economic aggregate of the emerging countries will exceed the developed markets and there will be 19 economic entities among the top 30 global economic entities. The change of the economic strength inevitably has profound influence on the world economy order and the wholeness rise of the emerging economic big powers and the developing countries will tremendously shock the economy’s dominant positions of the developed countries. During the Durban Conference, the emerging market countries received so much pressure from the developed countries that they accepted the proposal that they shall implement the qualified emission after the year2020. For those emerging market countries which staying at an economic rapid growth period, their industrialization speed thus maybe suffer a tremendous negative influence. Meanwhile, it also show that the developing countries’ vulnerable position still gain no fundamental change during their contest with the developed countries. Actually, although saw a rapid development both in social and economic aspects, those emerging developing countries represented by the BRICS still have lots of problems to be solved in their developing roads. For instance, the imbalance of their domestic economy development, big gap between the rich and poor on national income, serious environment pollution problem, short supply of the energy and dependence on import and vulnerability to the developed countries’ trade barriers during their foreign trade. There are still lots of tough work to do to catch on the development level of the developed countries. In spite of the emerging developing countries’ broad prospects in development, the developed countries still taken 68% on the global economic aggregate so far and their capacity of technology development and innovation are far ahead of the developing countries. The comprehensive strength of the developing countries still far lag behind the developed countries, so it is still the developed countries that leading the world political and economical order. In the variety of international conference, the developed countries still hold a dominant position in those aspects like agenda setting up, proposal deliberating and conference decision making. Besides, the developed countries have a powerful control of the international financial market and they still own their superiority in the international order. In addition to that, many western developed countries tend to exaggerate the development speed of the developing countries and advocate variety of so-called Threat Theory, which aim to restrain the developing countries development speed , continue to maintain their dominant position and guarantee their own benefits. For instance, the western countries have always been exaggerating the China environment-threat theory. It apparently only underlines that China’s environment problem will or already threats other countries benefits and the developed countries hope to bring China into the global environmental governance system dominated by them, which will force China bear a larger responsibility. However, in a deeper level, it referred to each county’s competing energy innovation and future development space. As for the expansion of the environment problem, the developed countries portray China as “world polluted big power”, “environment crisis maker”, and “mercantilist without undertaking global environment responsibility”, etc, forcing China bear the responsibilities and obligations beyond its ability. Therefore, the developed countries will never hand over the dominant right easily only because the developing countries’ rapid development. It is still a long way to go before an establishment of fair “international economy order” and an equal dialogue with the developed countries. However, the rise of the emerging countries and their position in international economy is certainly represents the general trend. Meanwhile, the developed countries’ capacity dominate the world economy order will be restrained more and more by the developing countries, especially the emerging market countries. During the Climate negotiations in Durban Conference, three main groups named the EU (Europe Union), the Umbrella Group, and the Group of 77 and China, has been separated on the basis of their traditional stance. All those groups have their own interests appeal and hold different stances in the Carbon emission negotiations. EU has always been an active promoter of the global Carbon emission during the climate negotiations, firmly demanding the main emission great powers to conduct quantified emission reduction. On this Durban conference, the EU demand all the countries must in 2015 make a fully emission reduction agreement which has legally binding after the year 2020, providing that continuing the second commitment period of Kyoto Protocol. As the EU is the main part of continuing the second commitment period of Kyoto Protocol, thus EU grasping the initiative in the Durban Conference and stay in a dominant position in the negotiation with the developing countries. The Umbrella Group consists of United States, Japan, Canada, Australia, and New Zealand, which led by United States and holds the stance that the green house gas emission superpowers like China and India must also accept the mandatory emission reduction. Among the Umbrella Group, counties like Japan, Canada, and Australia even declare disallow the second commitment period and parts of developed countries including Russia disallow too. The official reason for those countries’ disallowing is that the agreement cannot reach the effect of emission reduction without cover all the major emission countries. The camp that represents the developing countries’ negotiations consists of the Group of 77 and China, Alliance of Small Island Countries and OPEC countries. This camp of developing countries demanding the developed countries shall continue to implement the mandatory emission reduction responsibility and provide the developing countries with Green Fund. However, there are different appeals for each country within the camps, so some problems happened to the camp solidarity. China has saw rapid and sustained economy growth and great improvement of its comprehensive national strength since the implementation of reform and open policy. In 2010, China has became the biggest export countries in the world surpass Germany and became the second largest economic entity in the world surpass Japan in the same year. From the year 2011, China has already become the largest manufacturing countries followed by United States and hopefully become the largest economic entity in 2020. With the comprehensive national strength greatly improved, China’s status gradually improved in the international society and China playing a more and more important role in maintaining the world peace and stabilizing the global economy development. In some extent, the rising of the emerging countries will bring a huge impact to some developed countries’ dominant position in the international politics and economy. As a developing country, China cooperated with other developing countries in the long time fighting to the developed countries and formed the cooperation model of G-77 and China (the Group of 77 and China). Through this group, China show its interests appeal and gradually gained more discourse right in the dialogue with developed countries. However, during the Durban Conference, instead of uniting as one fighting for their interests in confront with developed countries’ pressure, the camp of developing countries and their negotiation strength seriously decreased by their inside divergence. Actually, it is normal for those developing countries have different opinion in the negotiation. Although they are all developing countries, those countries couldn’t have totally same appeal on the climate issue and even opposing is also possible due to their imbalance development and different national strength. The Alliance of Small Island States demanding implementing the severest fully emission reduction measure, for the sea level rise caused by the climate change will bring catastrophe for them. In addition to that, compared to the developed countries, the developing countries tend to society turmoil because they can hardly adjust to the social effect brought by the environmental degradation. Among these developing countries, the Least Developed countries have no ability to cope with the disaster brought by the climate change and they have to depend on the developed countries’ aid. Besides, the developed countries don’t demand those least developed countries to reduce the emission. Consequently, these Least Developed Countries tend to support the developed countries’ fully emission reduction proposal. It is true that the emerging countries’ rapid growth brought the soaring Carbon Dioxide emission and they should enhance the level of reduction emission, too. However, the emerging countries still staying at a developing process and they deserve the right to defend their developed right in the cooperation of Carbon emission reduction. Furthermore, it is also true that the developed countries have a strong national strength and high intensity of Carbon emission, and they shall take the historical responsibility of over emission of the Carbon Dioxide. So it is unfair to compel the developing countries take the same the responsibility as the developed countries. The developing countries treat the emerging countries with the other developing countries differently and instigate the Alliance of Small Island States and the Least Developed Countries demand the emerging countries to accept the agreement of compelling emission. Besides, the OPEC countries and Russia also reject implementing the emissions, thus the left emerging countries tend to be isolated in the negotiation. Finally, the EU “Road Map” got the support of 120 countries among more than 190 countries, which made China confront enormous public opinion pressure in international society. 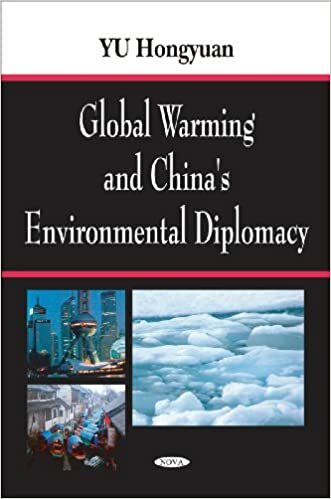 With regard to climate change crisis, the complicated and pressing negotiation is the key challenge facing China, especially considering the increasing influence of its energy consumptions and carbon emissions on the global climate changes. In this aspect, the emerging economies have become the key stakeholders in Bali Roadmap and Post-Kyoto negotiations. Considering such a crisis as climate changes spread discussed and negotiated all over the World, the solutions with all-round knowledge based efforts will build the future scenario for the international society. It has always been argued that China should clarify their climate diplomatic position in order to pursue for more understandings and supports from the developed world and the international community.China seeks to act as “responsible stake holder in international system” with pursuing “Scientific Outlook on Development”. For the practical measures on global warming, while mitigation (emission reduction) is important, adaptation to climate change-induced impacts is equally important for China. Evidently, Beijing has decided to take continuous national policies, strategies, and initiatives to protecting the global climate. At the strategic level, China has now changed the policy orientation about of over-emphasis on energy security but relative neglect climate change and issues of the environment. Climate security and diplomatic issues has been incorporated into the national strategy and long-term development framework, to promote comprehensive management of the emerging national strategy. Hans Morgenthau, Politics among Nations: the Struggle for Power and Peace, Chinese People's Public Security University Press, 1992, pp.3. UNCTAD Handbook of Statistics 2010, pp.466. Richard Sanders, “The People’s Republic of China: the Environment and Environmental Protection,” Richard Sanders, ed., Prospect for Sustainable Development in the Chinese Countryside: the Political Economy of Chinese, Ecological Agriculture, England: Ashaate Publishing Limited, 2002, pp.13-17. Thomas F. Homer-Dixon,” On The Threshold: Environmental Changes as Causes of Acute Conflict" International Security, Vol. 16, No. 2 (Fall 1991), pp. 76-116 “environmental scarcities and violent conflict: Evidence from cases” International security Vol.19,No.1(Spring 1994),pp.5-40.